The nine nights of Durga – Navaratri, ending with Dussehra, the great victory of the goddess over the demon Mahisasura, are celebrated every year, between September and October. 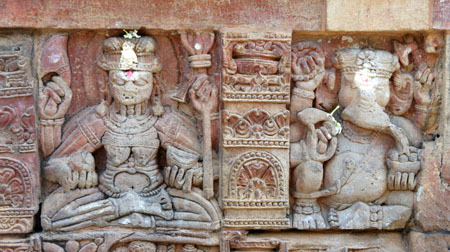 Mahanavami, the last day of Navaratri, is the most important day of the celebrations held at Bhubaneshwar, capital of Odisha, and Durga is worshipped in every sacred place associated to her; the tenth day, Dussehra or Vijayadasami, her victory over the demon is celebrated, while the eleventh, when the rituals are over, the statues which have hosted the divine energy of the goddess are brought in procession to be immersed into the river. 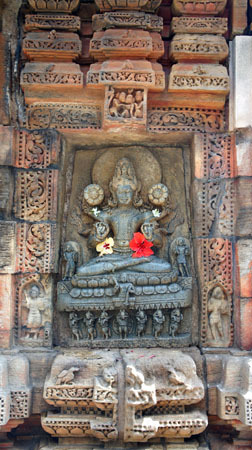 The journey proposed by the cultural association Sutra Arti Performative starts the ninth day of Navaratri, in the midst of the three days of the greatest celebrations, and alternates mornings guided tours to the main medieval shakta temples of Odisha – including the 64 Yogini temple at Hirapur – with the participation to the evening rituals for the goddess. At the end of Navaratri’s celebrations, we’ll proceed towards the royal palace of Dhenkanal, at a distance of 75 km from Bhubaneshwar. The palace, which was built at the end of the 19th century, is still a royal residence and members of the royal family use to welcome guests. We’ll spend three days in the royal palace absorbed in dancing and playing for the workshop Yogini, circle dances, drums and ritual performance, which will be held in the audience hall. The symbolism of the oracle cards Yogini of Hirapur Oracle, the art work created by Luisa Spagna, will be an important aspect of the work. 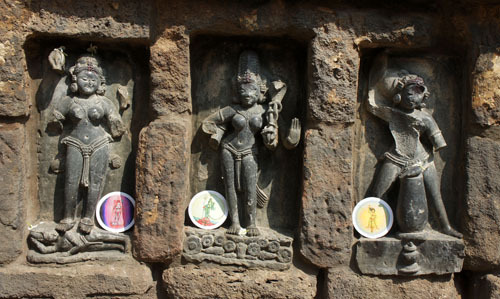 The workshop will be closed by a performance, including all the participants, held in the hall which hosts the most ancient stage of Odisha, built at the end of the 19th century. The last three days we’ll go back to Bhubaneshwar to visit other temples and get absorbed in the traditional arts and crafts of Odisha. 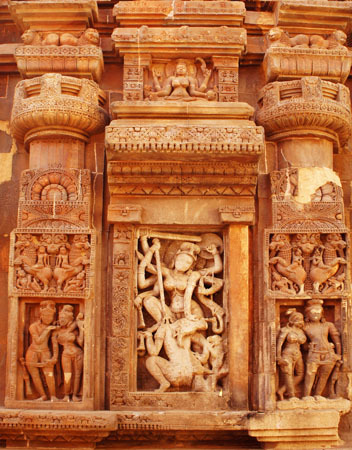 The journey will end with a guided visit to the gorgeous Sun temple of Konark and its dance pavilion, surrounded by countless carvings of musicians and dancers. The journey organized and guided by Paolo Pacciolla, ethnomsicologist (Conservatorio di Musica “A. Pedrollo”) and musicician, and Luisa Spagna, researcher on Indian arts and culture, dancer and artist.